THE controversial litter firm appointed by Kirklees Council has been thrown out. Kingdom were put in control of keeping the district's streets tidy in April last year, but have been met with widespread criticism from residents. Critics said that the private firm's enforcement officers were heavy-handed and over-zealous, behaving rudely and aggressively when handing out fines. He said: "I think this will be welcomed by the public as in my experience they didn't bring real benefits to the community. "If Kirklees want to improve the local environment they need to combine enforcement (fines) with education and encouraging people to be responsible." 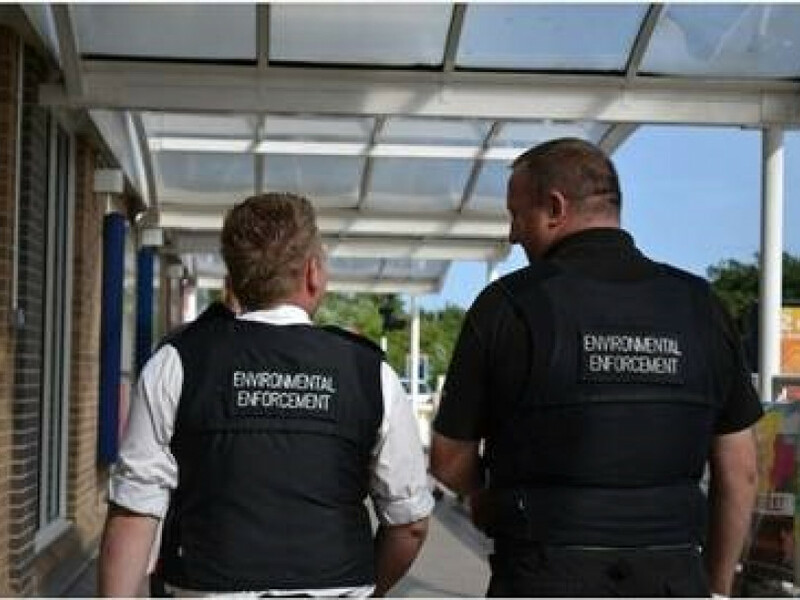 Cheshire-based Kingdom was put in charge of enforcing littering, dog fouling and other environmental policies. Its official one-year trial ended in April, but was extended with a four-week rolling contract. While that contract still exists, the council have confirmed it will soon be axed. Coun Graham Turner, cabinet member for corporate services, said: "We employed Kingdom to understand the model it operated. "We have investigated how the market works. We are now going to look at delivering that model within house with a different slant on it. "We are taking a slightly different approach but the details are still to be finalised." The council confirmed it would employ in-house staff from October – when it plans to pull the plug on Kingdom's contract. Kingdom officers can hand out on-the-spot fines of £75 – 85 per cent of which went into the company's pocket, meaning the council only got £11.25 from each ticket issued.